Experience counts in matters of justice!!! Having a colleague by your side who understands makes matters much easier. With over 35 years of serving the residents of South Central Kentucky, you can rest assured you'll receive the highest quality service for your legal needs. 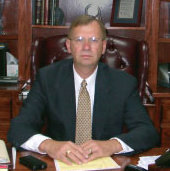 We have been a private practice since 1977 and have served as the Wayne County School Board Attorney for over 20 years. We have served as the attorneys for the City of Monticello for over 20 years and we want to help you! The Law Office of Gordon T. Germain offers assistance in several areas of law, including: Family, General Law, Divorce, Personal Injury, Real Estate, and Bankruptcy Law to the residents of South Central Kentucky. Contact us on 606.348.9394 to let us help you. Gordon Germain's roles as both Wayne County school board attorney and the attorney for the City of Monticello have spanned the past 20 years. Forging strong and dependable ties with both family and community, this invaluable experience is extended to his clients daily. *This is an advertisement Kentucky Law does not certify specialties of law. Please consult an attorney for advice about your individual situation. This site and its information is not legal advice, nor is it intendedto be. Feel free to get in touch by electronic mail, letters or phone calls. Contacting us does not create an attorney-client relationship. Until an attorney-client relationship is established, please withhold from sending any confidential information to us.